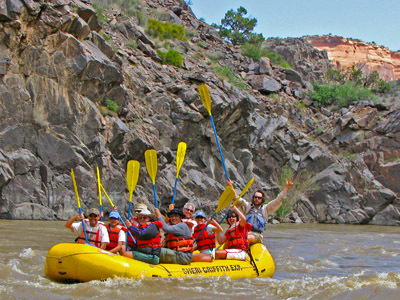 It's never too early to start looking ahead to next year for an exciting river rafting vacation. If you act fast we will give you this year's price for next year's trip! 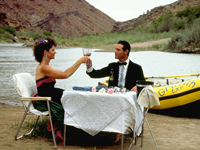 We have already started taking reservations for next year on our popular trips up. Some dates are already filled! Sign up early before the trip you want fills up! 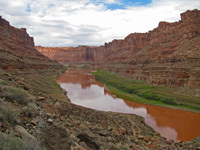 Popular trips that fill quickly include our Gates of Lodore, Yampa River and Westwater Canyon expeditions. Call now to secure your spot! The posted dates won't work for your group? Call our office to request specific departure dates. Click to view 2014 Dates and Rates. Pay in Full Discount: Get an extra 5% off your 2014 trip! If you pay the full amount of your river trip cost get an extra 5% off!!! This discount works in addition to our group discounts and our return guest discounts, this could save you $300+ off your 2014 journey!